There is nothing like the look and feel of a freshly installed carpet. It looks perfect, there are no bumps or wrinkles, and it feels like you are walking on a cloud. Over time, that feeling can disappear as carpets age and get worn. 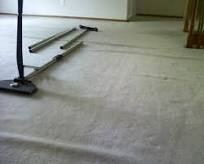 Many people feel like they will need to replace their carpet, but carpet stretching and repair in Castle Rock, CO can easily bring an old carpet back to life. Bumps and wrinkles in a carpet come from normal wear and tear and walking on it. While it makes a carpet look bad, it can easily be fixed. Carpet stretching and repair in Castle Rock, CO is what we do day in and day out. We have the tools needed to fix any carpet and the cost is probably less than you think. Our team of trusted professionals can come to your property and give an estimate of what the work will cost. Once there to complete the work, it will take little time to fix those blemishes in your carpet and have your property looking like new again. There are specific tools that need to be used to stretch and repair a carpet. Carpets are installed in a certain way, and without the tools, they cannot be properly fixed. Calling us in to fix your carpets is the way to go. We know exactly what to do to get your carpets back to way they looked the day they were installed. Proper knowledge and tools are the keys to repairing any carpet, and we have both. Do not let some unsightly issues with your carpet thinking you need to replace them. The cost of that is very high. Our team of professionals can quickly and easily fix those carpets and save you the cost of installing new carpet. Carpet will need to be replaced over time, but in most cases, issues can easily be repaired.